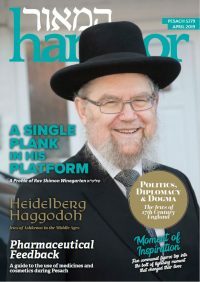 One of the most complex questions in Jewish Thought that is of real relevance to every Jew in their daily lives, is the understanding of the parameters of the Mitzva of Emunah, as it relates to our interactions with the physical world. How much effort ought to be expended in attempting to achieve a desired outcome? Is the concept of a desired outcome itself an appropriate one? Perhaps an expectation of a particular result, is itself inappropriate? 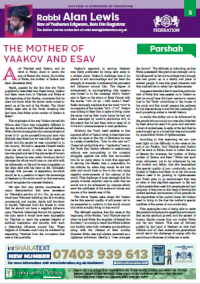 Arguably, we just do what we need to, and Hashem should be left to determine the outcome. At what point is our involvement deemed to be excessive, or indeed too minimal? Is there indeed a notion of doing too much or too little? 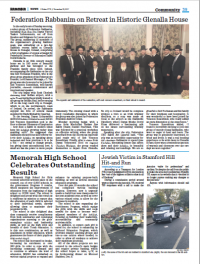 In the early hours of Sunday morning, a select group of Federation Rabbanim, including Rosh Beis Din Dayan Yisroel Yaakov Lichstenstein, set off from Hendon and Edgware for Luton airport. 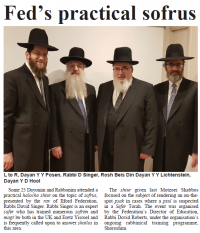 The group, numbering 15 members of the organisation’s growing Rabbinic team, was embarking on a two-day Rabbinic retreat based at Glenalla House in Donegal, Ireland, comprising a full programme of events arranged by Federation Director of Education Rabbi Dovid Roberts. Life is complicated. 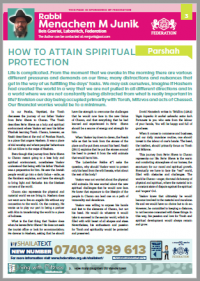 From the moment that we awake in the morning there are various different pressures and demands on our time; many distractions and nuisances that get in the way of us fulfilling the days’ tasks. 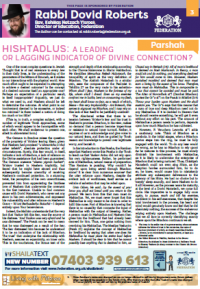 We may ask ourselves, imagine if Hashem had created the world in a way that we are not pulled in all different directions and in a world where we are not constantly being distracted from what is really important in life? Envision our day being occupied primarily with Torah, Mitzvos and acts of Chessed. Our financial worries would be to a minimum. 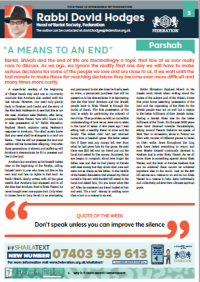 Burial, Shivah and the end of life are fascinatingly a topic that few of us ever really care to discuss. As we age, we ignore the reality that one day we will have to make serious decisions for some of the people we love and are close to us. If we wait until the last minute to make these far-reaching decisions they become even more difficult and many times more costly. 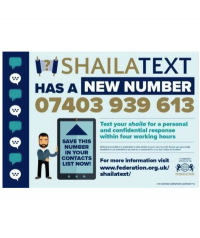 The Federation’s hugely successful ShailaText service was launched in June 2015, l’ilui nishmas Dayan Gershon Lopian, zt”l. Although the initial premise was that all she’eilos would be answered within 24 hours, it very quickly became apparent that a faster turnaround was required, and the service altered its guarantee to a “within four working hours” response time. 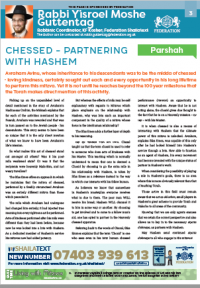 Avraham Avinu, whose inheritance to his descendants was to be the midda of chessed - loving kindness, certainly sought out each and every opportunity in his long lifetime to perform this mitzva. Yet it is not until he reaches beyond the 100 year milestone that the Torah makes direct mention of this activity.